I started playing 40K back in the early nineties after being introduced to Space Crusade/Advanced Space Crusade. 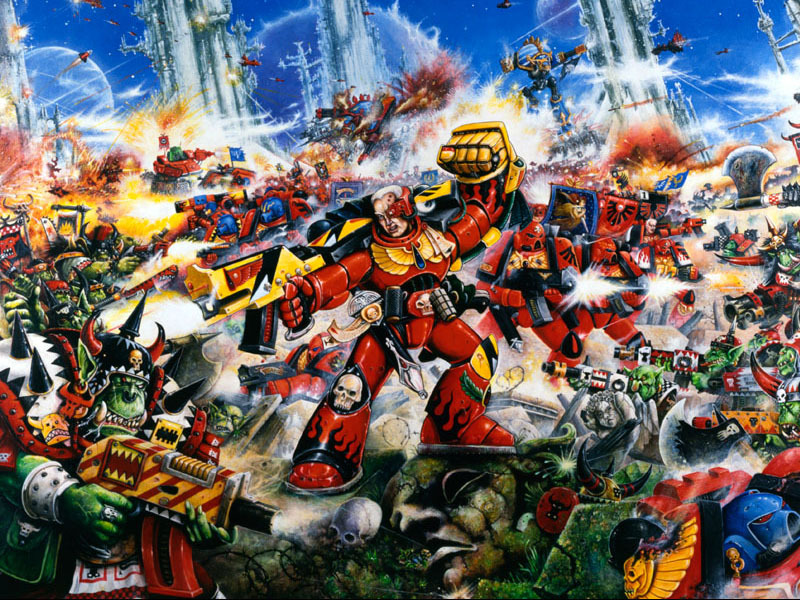 I also enjoyed Blood Bowl & Warhammer Quest, but it was the grim darkness of the 41st Millennium and my sanguine Blood Angel Space Marine army which was my first love. After collecting the army, and playing truly epic, or as one would call it these days, Apocalyptic si\ed battles which would last over the course of a weekend I left the hobby and sold my army around 1997 when I needed to increase my 'Beer Fund'. Fast forward to January 2013 and my interest in video gaming (which had been all consuming since I left the hobby 15 years previously) was waning. After hearing that a close friend was getting back in to the hobby I figured I would dip my toe back in. 12 months later I can happily report that I am well and truly hooked, and probably to a greater degree than the first time I used to get my little soldiers out as a teenager. My main problem though has been the progress of my painting. I have built up a 3000 point (ish) Space Marine and Grey Knight army. This is a home brew Chapter built on fluff relating to the Light Knights Gaming Community which I founded and led until 6 months ago. Having gone though a lot of changes in my personal life and spending a lot of time at work, I have been unable to churn out the units at a speed which i would like. I want this blog to a provide an extra motivating factor to get units painted, to also log the development of this army (and any future ones!) and to hopefully depict the improvements I make in my technique and ability. Do you still have the ultramarines rifel man venerable dread as I'm interested in aquiring one if it's for sale?